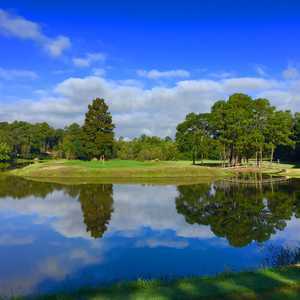 Nestled along Lake Conroe in Montgomery, Texas, La Torretta Lake Resort and Spa is a self-contained retreat that offers outstanding golf, a variety of lake activities, and lodging in its 21-story hotel complex overlooking the lake. 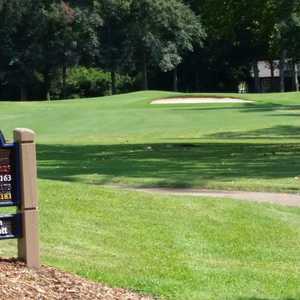 The Dave Marr-designed golf course at La Torretta plays around 7,100 yards from the back tees. Pines and oaks line the fairways and the bunker-laden track is spiced up with waterfalls, fountains, lakes, and even an island tee box. The front side features one of Texas' most scenic holes: a 458-yard par 4 that approaches over water to a green that's lined by a spectacular waterfall on the left. On the back, no. 12 stands out because of its undulating fairway, huge bunkers, and its hourglass-shaped green. However, no. 18 is the one to watch out for -- a long par 4 that plays into the wind. A water hazard fronts the green, which, by the way, is all of 10,000 square feet. Really enjoyed this course. Well kept, interesting and very playable.